Breathtaking describes the views of natural beauty at Fort De Soto Park. 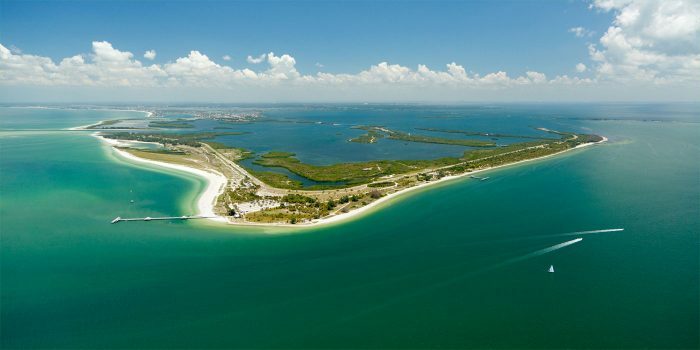 It is located on the islands lying at the mouth of Tampa Bay, about 7 miles south of downtown St. Pete. It is a popular place for running, featuring paved roads and recreational trails. Start at the parking lots at North Beach, which is regularly recognized as one of America’s ‘best beaches’. Run along the beaches and trails and back while enjoying the magnificent views and wildlife. It is a little over 10 miles all the way to the eastern tip of the island and back.